Anouk's egg was collected from the RSPB Nene Washes in April 2017. She hatched at WWT Welney along with her three siblings in May 2017. 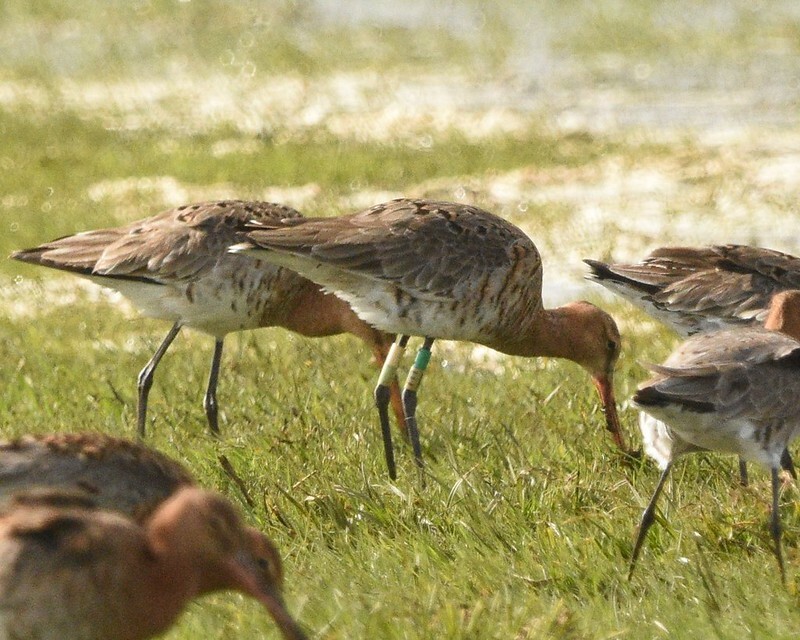 Anouk was released on 12 June 2017 on Lady Fen at WWT Welney. 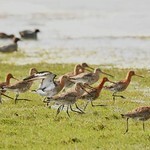 Anouk was released with 24 other young godwits including her brother Benwick and two other siblings. March 2019. 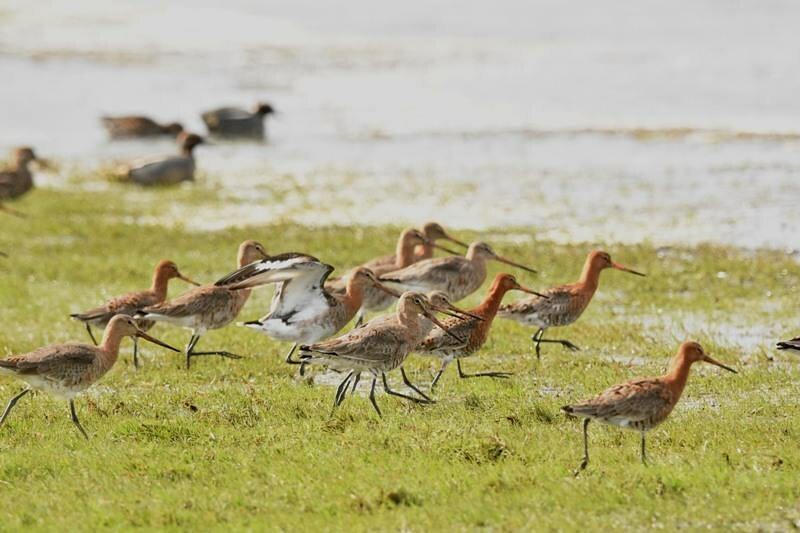 Anouk is spotted at Wieringerwerf in the Netherlands, feeding amongst a large flock of godwits. April 2019. 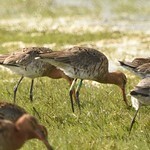 Within days of being seen in the Netherlands, Anouk makes it back to Lady Fen at WWT Welney. She appears to be paired with Delph. Will she nest in the 2019 breeding season? Anouk is a Dutch name meaning 'grace.' 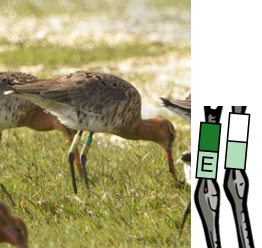 We chose a Dutch name in honour of our Dutch friends who have provided us with lots of godwit sightings, and because her first sighting away from the Fens was in the Netherlands.